Simple Moong Dal | Pasiparuppu Soup! 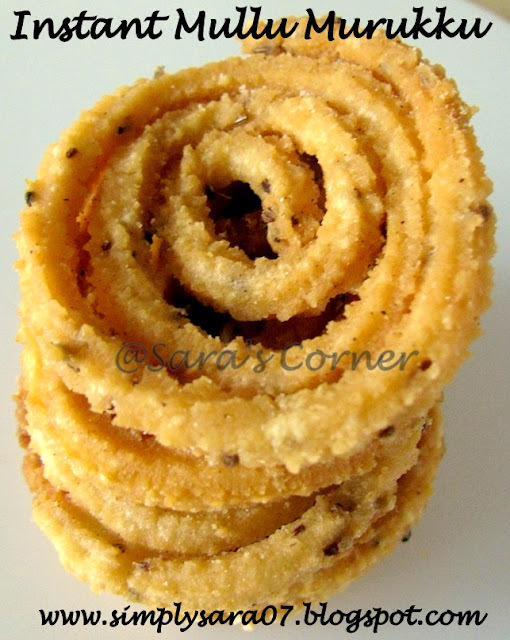 Patani /Dry Peas Sundal | Navarathri Specials!!! Samba Rava /Broken Wheat Kanji! Moong Dal/Pasiparuppu Soup is a very comforting and light on stomach. This was prepared for my father in law who was having stomach ulcer and was on non-spicy food. He liked it and so am sharing. Wash, rinse and cook dal in pressure cooker with water for 4 whistles. Once the pressure is gone, remove excess water and mash the dal with whisk fully. If it is not getting mashed, allow it to cool and grind in mixie. In a kadai, season with ghee, mustard, hing. Add the mashed or grounded dal mix and stir well. At this time you can add the excess dal water. It should not be too thick or too watery. Add salt and stir. Allow it to boil. Simple Moong Dal/Pasiparuppu Soup is ready to serve. 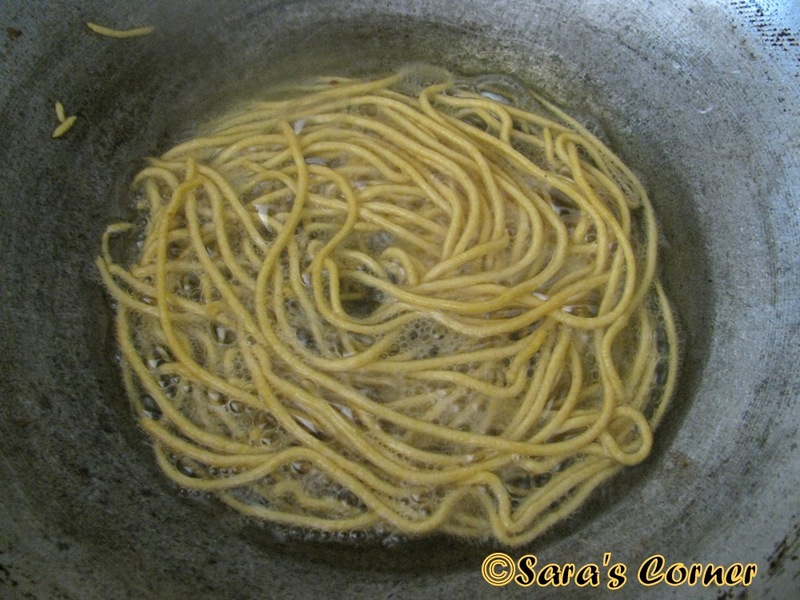 Patani Sundal is a simple and easty to prepare. Soak green peas overnite for 8 hrs. Pressure cook it about 4 whistles in simmer with water and salt. Wait till pressure is up and remove excess water. Add green peas and mix well. Grind grated coconut and green chilli to a course paste without adding water. Add this to the sundal. Cook for few minutes. Sprinkle a pinch of salt mix well. Cook for 5mins and Off the stove. Patani /Dry Peas Sundal is ready to offer to God, later enjoy. 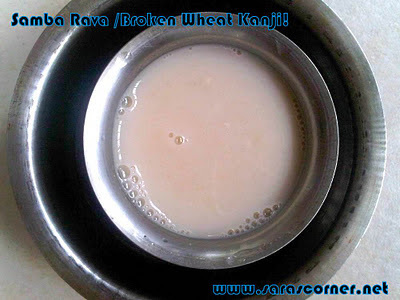 Samba Rava /Broken Wheat Kanji is a healthy drink. I have been preparing every month and its my son's favourite one too. This can be your breakfast too, if you are bored of any breakfast or looking for an easy breakfast on weekends. This is my daily breakfast. My MIL taught me and we all liked it a lot. In a kadai, dry roast all the ingredients to slight brown separately. Transfer it to a plate. Grind to fine powder in mixie with little sugar for easy grinding. Mix well. Store this in a air tight container.Healthy mix is ready. Mix 2 tspns of this powder with little water and boil, then add one glass of milk. Add sugar and Serve. 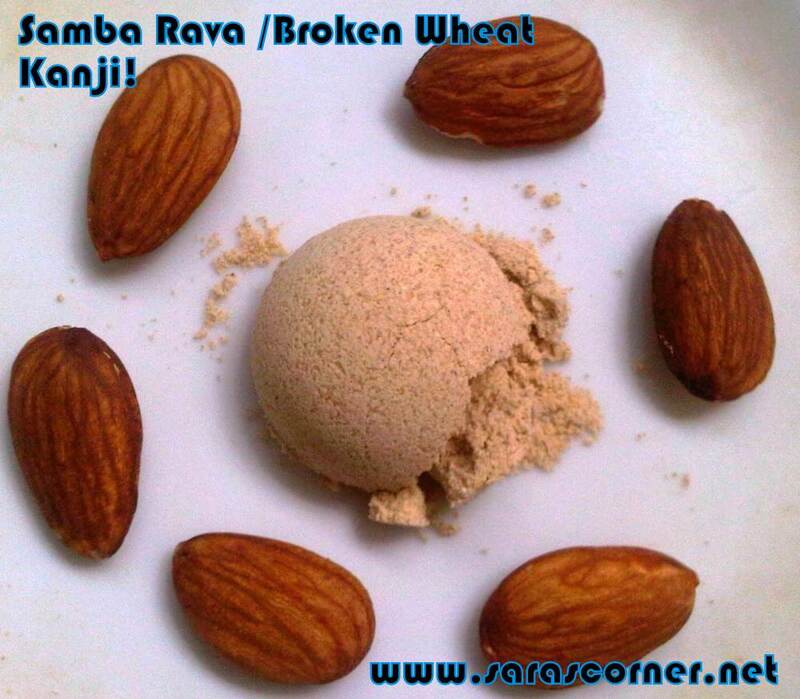 Samba Rava /Broken Wheat Kanji is ready. Enjoy this healthy drink. Notes - If you have mill near your place, you can skip sugar. 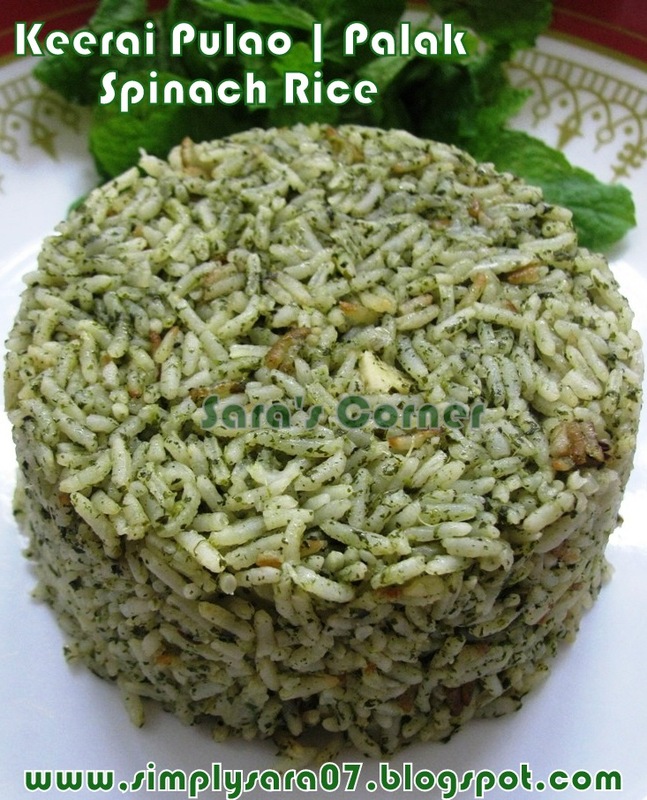 You can make in large quantity and store for months and stored in fridge too for later use. 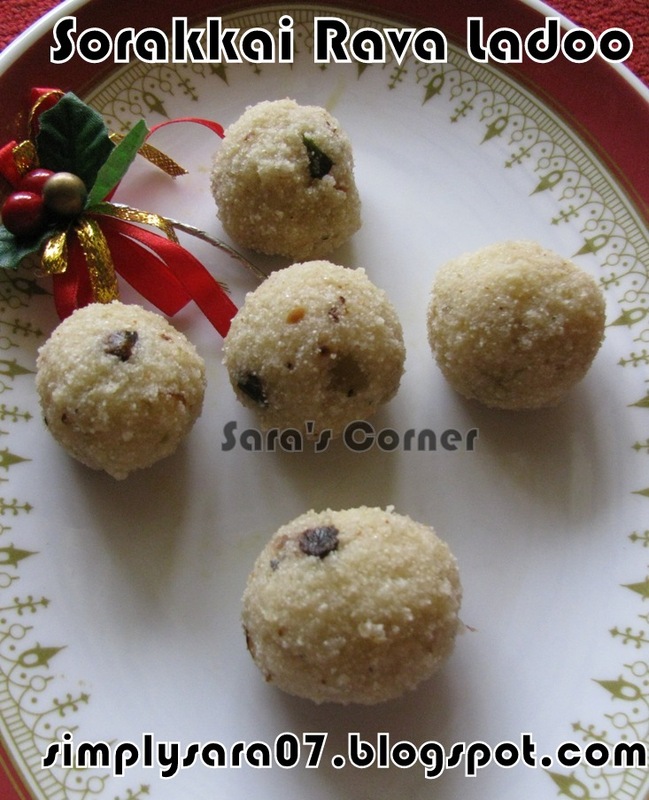 Beans Paruppu Usli is very healthy and nice sidedish combi for sambar rice, vatha kolambu and Mor kolambu. It is popular in Tamilnadu. Wash and soak the dals in water for 2 hours. Cut the ends and chop beans into small pieces. Pressure cook with little water, salt and turmeric for 2 whistles. Grind the dals with chilli to a coarse paste in a mixie or blender. Heat a kadai, add oil, mustard wait till it pops, then add jeera, hing, curry leaves. saute for a min. Add the grounded dal mix and cook well until it changes the colour. If required add little oil. Add the steamed beans without water and mix well. Adjust salt..
Let it cook for few mins. Off the stove. Add 1 tspn coconut oil and mix for flavour. Beans Paruppu Usli is ready to serve. Enjoy this with sambar rice, rasam rice, vatha kolambu, curd rice and Mor kolambu. I like to mix it with hot steamed rice. You can also eat hot as it is for tea time. Mathan Pachadi | Sweet Yellow Pumpkin | Authentic Kerala Recipe! 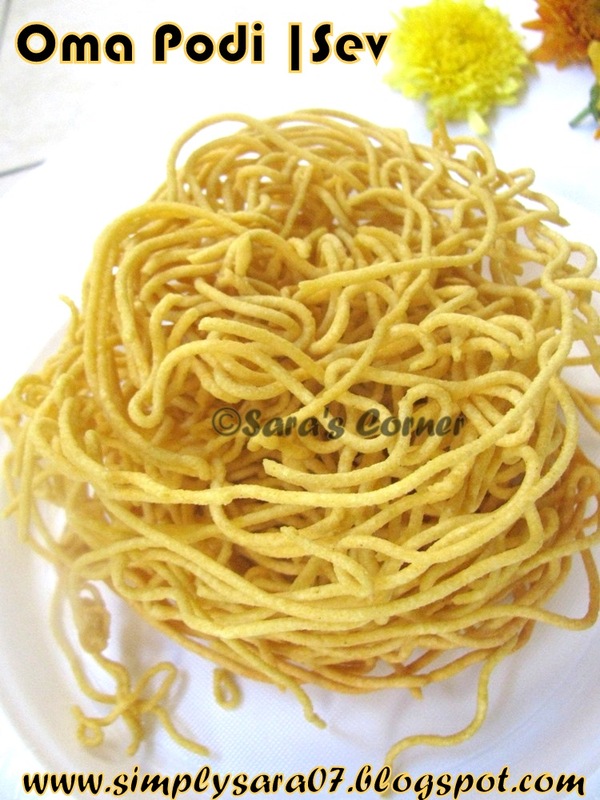 Mathan/ Sweet Yellow Pumpkin Pachadi is an authentic Kerala Recipe. Wash, deseed, remove skin and cut into cubes. Heat a vessel, add the mathan, tamarind water, turmeric and salt. Let it cook. 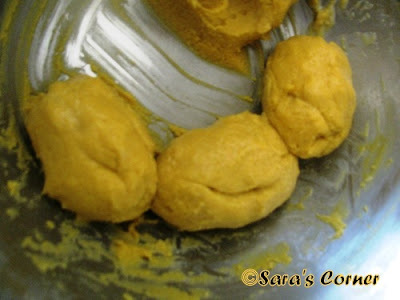 Once the pumpkin is cooked, add the paste and mix. You can mash the pumpkin if you want and allow it to boil. Season it with1/2 tspn coconut oil, mustard and fenugreek seeds/venthayam, 1 dry red chilli and curry leaves. 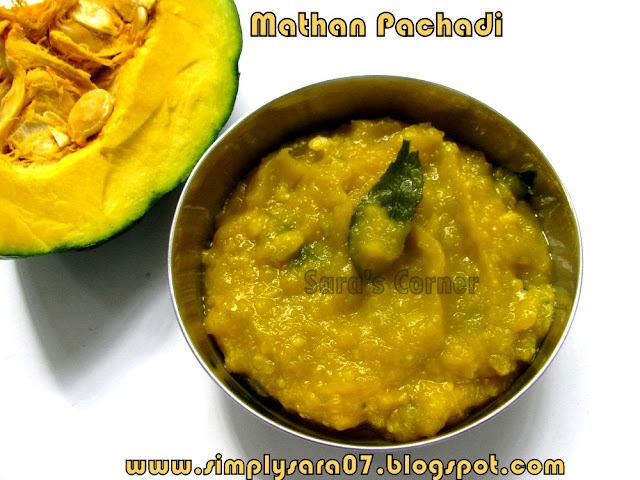 Mathan /Sweet Yellow Pumpkin Pachadi is ready is serve. This is a sidedish for Kootu rice. 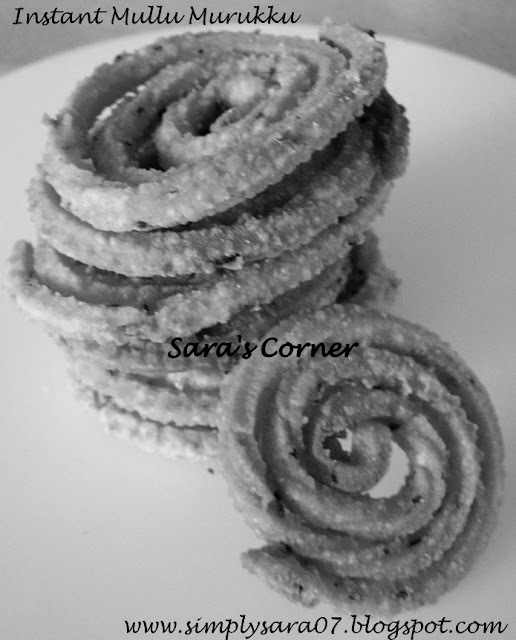 Click here for Kootu recipes. Hope you all had great diwali and enjoyed. I had a nice diwali, but due to unavoidable circumstances I was not able to post recipes and visit your blogs. Will visit them soon. Also will post my diwali recipes. Dahi Papdi Chaat is a popular in North India Chaat. My hubby's favourite and I like it without curds. Arrange Papdi on a plate. Add one by one above ingredients in the same order on the papdi and enjoy. Dahi Papdi Chaat is ready to serve. Notes - You can also add boiled green gram instead of onion. Heat a kadai and dry fry kadalai maav till you get good aroma and raw smell is gone. Do not burn it. In a double boiler, melt ghee and keep in low flame to keep ghee hot and warm. Grease a tray or plate with ghee. In a heavy bottom kadai, add sugar and water. Let it dissolve and keep stirring till it forms 1 string. Slowly keep checking by your fingers. Reduce flame to low. 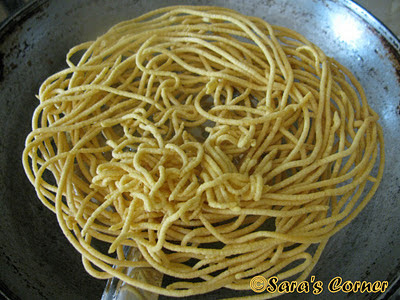 Add the kadalai maav slowly and stir by whisk and without forming lumps. Now increase the flame, it will start to become frothy and bubbling. When it becomes thick, add 1/2 cup melted ghee and keep mixing. 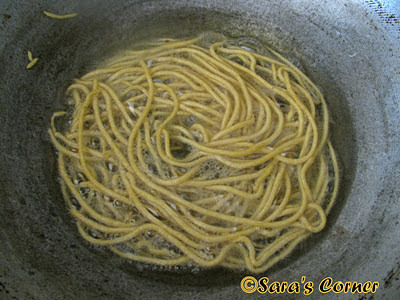 Keep stirring well then after few minutes again add 1/2 cup ghee and mix well. When it becomes thick, frothy and doesnot stick to kadai, add last 1/2 cup ghee. Stir once. Pour in the greased tray. Press lightly by a cup evenly. Allow it to cool for sometime, then take a greased sharp knife and cut to desired shape. Let it cool completely, again take knife and cut on the same prints firmly. Slowly remove the peices and store in airtight container. Mysore Pak melt in mouth is ready. My upcoming posts will be Thattai, Mixture, Krishna Sweets Mysore Pak..stay tuned here @ Sara's Corner. 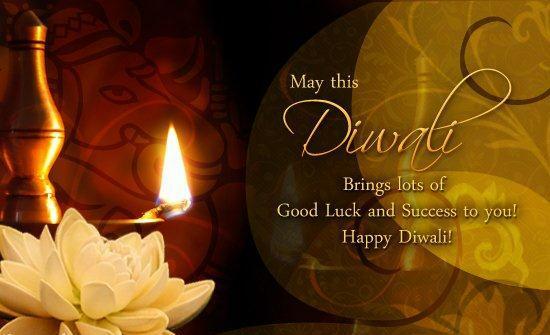 Again wishing all my Sara's Corner readers a Happy and Safe Deepavali! 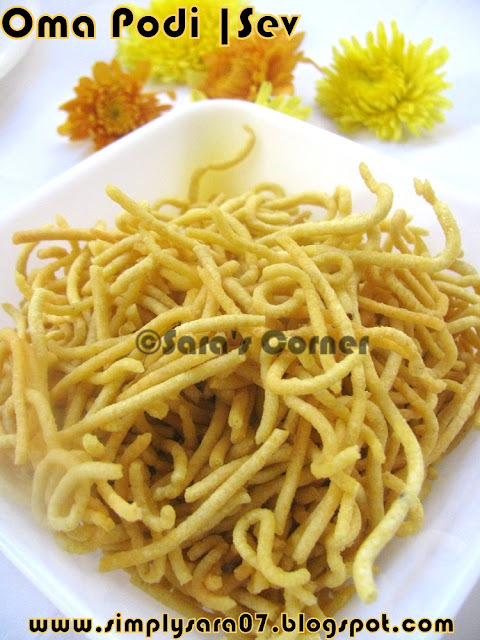 Mullu Murukku is prepared on festivals, weddings and other ocasions. Here I have prepared using Ready Murukku Mix and found it quiet easy at times. This is the first time I used the mix. Usually I bring the mix milled from India done by my mom:-) When in chennai, I love those crispy and tempting ones from Grand Sweets. Will post my traditional recipe also soon. This mix is handy when you find difficult to prepare the traditional murukku maav/flour. In wide vessel, add murukku mix, salt, hing, omam and mix dry. Make a dent/like well in the flour. Heat 3/4 cup oil and it should be hot but not smoky. Mix slowly the oil in the flour by hand, then add sprinkle water and make a soft dough. Make equal portions in the dough, take one small portion and put in the murukku nazhi/press. I used single star one plate. Take newspaper or parchment paper, cut into small rectangles and keep. Press slowly upto 4 lines and keep about 5 to 6 ready. When oil is hot slowly put them and deep fry till brown on both sides. Allow it to cool and then store in air tight container. Instant Mullu Murukku is ready to serve. 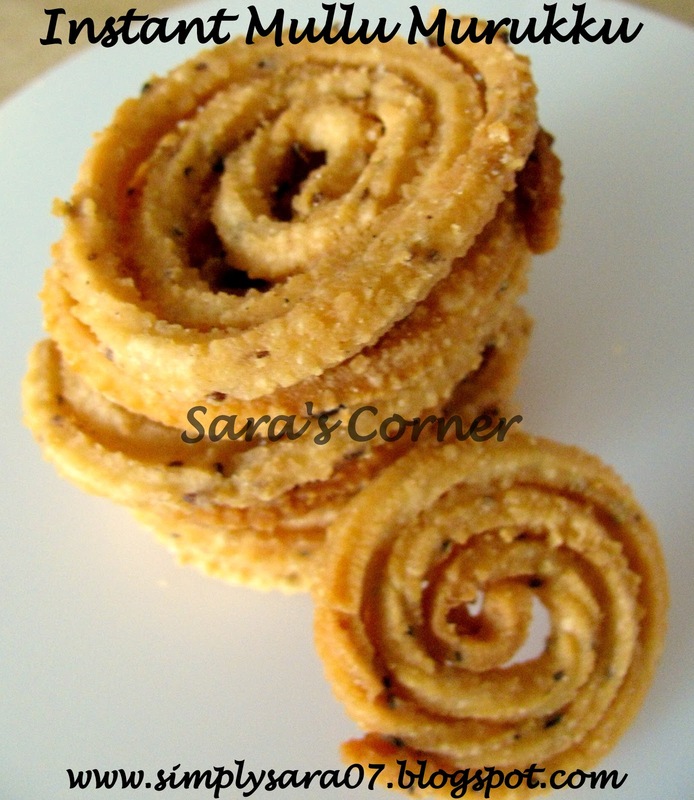 Enjoy the crunchy murukku with Hot coffee/tea, sambar rice or rasam rice. Notes - You can use Jeera/Cumin seeds or Ellu/White Sesame Seeds instead of Omam. I will soon post the step by step photos. This B & W photo is going to B&W Wednesday by Susan. 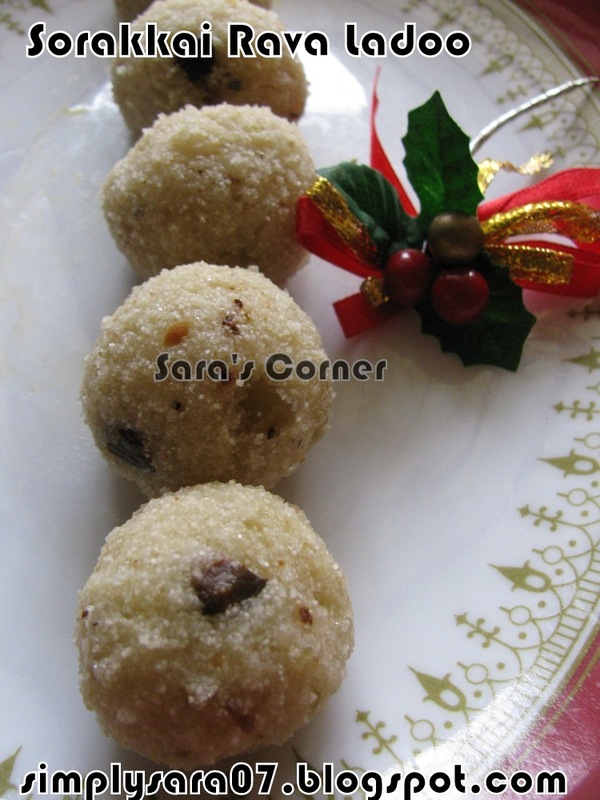 This recipe is going to My Diwali my way by Kushi and Diwali Festival of Lights by Anu. 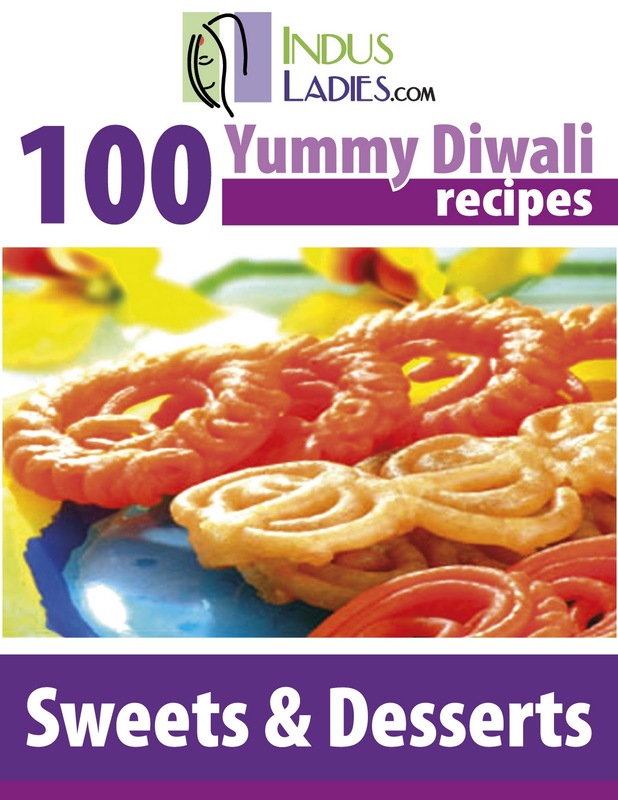 Here's the much awaited "100 Yummy Diwali Recipes" E-book by Indusladies. Happy to share that my sweet recipe Badam Puri is featured in the E-book. You can download the contributed recipes from here. Hope you try and enjoy this Diwali. Keerai | Palak | Spinach Pulao and Tomato Raitha Type 1!!! 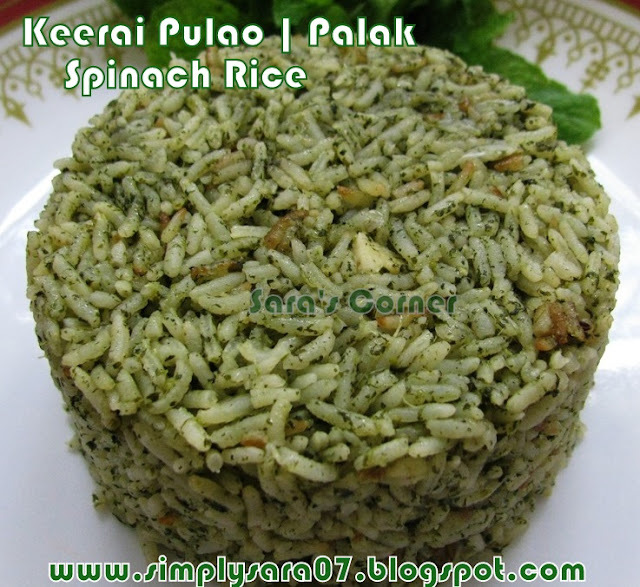 Keerai Pulao | Palak/Spinach Rice is very delicious and tasty variety rice. I prepared this for lunch yesterday. My family liked it a lot. Wash and chop keerai and pudina and keep aside. Chop onions and keep aside. In a Kadai, add 1 tspn oil saute the keerai, pudina, 1no green chilli with ginger for 5 to 7 mins. Allow it to cool. Grind it to coarse paste 2 to 3 times in mixie or blender. Heat a pressure cooker, add oil, put spices and fry. Add chopped onion, a pinch of salt and a green chilli,(at this stage if you want you can add ginger garlic paste) and saute till onions are transparant. Now add grounded keerai mixture and saute for few minutes. Wash and add rice, salt, garam masala and mix. Allow it to boil and pressure cook for 4 whistles. Wait for steam to release and slowly mix. Garnish with cashews. Serve hot or warm with Raitha. Take a bowl and mix all the ingredients one by one. Tomato Onion Raitha is ready to serve with the Pulao. Notes - You can add ghee for flavour with the oil. Homemade Oma Podi /Sev | Step-by-Step Diwali Recipe!!! 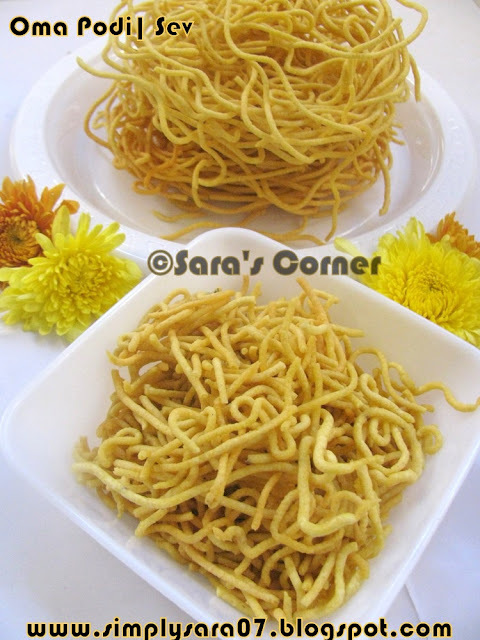 Oma Podi / Sev is a simple and tasty fried savory. It tastes great as it is and widely used in chaats and mixture. Its aromatic with Omam/Ajwain/Bishop weed. This is popular in all sweet and savory shops in India. This is my kids and in-laws favourite as its not spicy. This recipe is taught by my in-laws. Soak Omam in water for 1 hour and then boil it with water to get Omam water. Allow it to cool. This is for mixing the dough. Then filter the water and keep. Heat oil in a kadai/wok, take a small portion of the dough, put in murukku/omapodi nazhi/hand press gadget. Press in the hot oil fully in a circle wide. Let it cook, turn around and deep fry. Take it on a tissue paper and just press by hand and make small pieces. Homemade Oma Podi is ready. I love this with sambar rice and rasam rice. - Do not put the whole omam as it will block the holes of the murukku nazhi/ gadget. - Use the fine and small hole sevva nazhi. - Adding Rice flour(optional), it will be crispy. 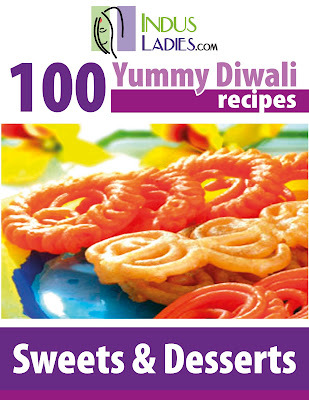 For the upcoming Diwali on October 26th, 2011, Indusladies is compiling an E-Book called “100 Yummy Diwali Sweet Recipes”. We are collecting Sweet/Dessert recipes from various bloggers to be featured in this E-Book. Now make a blog post in your blog announcing the E-Book compilation by IndusLadies and the recipe you are sending for this E-Book. That way inviting your co-bloggers interested to send in their contribution by Oct 10th,2011. My sweet entries to the event are here. Sweet Karamani/Black Eyed Bean Sundal | Navarathri Special!!! Hope you are having great time this Navarathri. Have been quite busy with the festive season and couldnot blog. Just posting this recipe I prepared today. 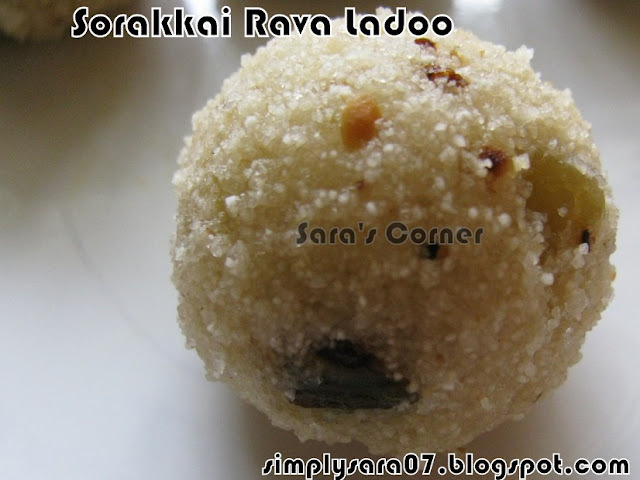 This sundal is special for Navarathri as it is a sweet one. Sweet Karamani Sundal is a sundal prepared with vellam/jaggery and this is very tasty. Tomorrow is Saraswathi Pooja, Kondakadalai/Chickpea/Garbanzo Sundal is prepared and offered to God with other menu for festivals. To read more on Navarathri click here. 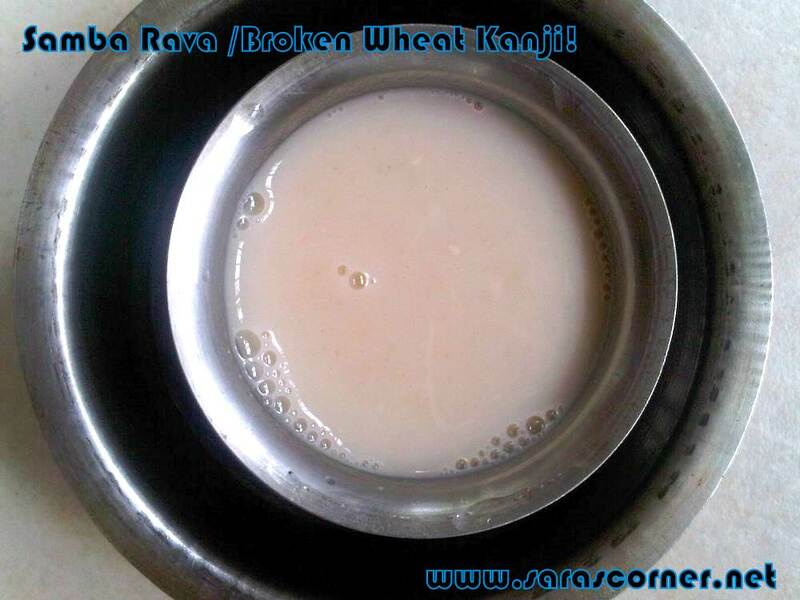 In a kadai or wide vessel, put vellam/jaggery with 1 cup water and boil well. Let it dissolve fully. Then filter it if any dust or mud particles are there. Wash the kadai and add the filtered jaggery, again boil it well till the raw smell goes and it reduces a bit. Once its boiled, add grated coconut and mix. Add boiled karamani and mix. Stir in intervals. Let it boil well and until no water left. Off the stove then add elachi powder mix. Sweet Karamani Sundal is ready to serve to God.